OPSA EAST ! Every Tuesday and Friday! from 5pm to 7 pm ! - ORLANDO PREMIER SOCCER ACADEMY (407) 906 0025 - O.P.S.A. 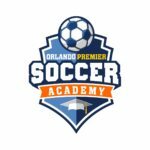 ORLANDO PREMIER SOCCER ACADEMY (407) 906 0025 – O.P.S.A. Premier training to take you the next level in your local team and college path. 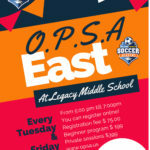 OPSA EAST ! Every Tuesday and Friday! from 5pm to 7 pm ! O.P.S.A offers 2 payment options. You can pay one time or you can choose to make weekly payments. $ 75.00 fee is non refundable and includes jersey set with short and socks. Prelude program total amount is $ 199.00 + $75 Registration includes training jersey. Intense private program total amount is $ 399.00 +$75 Registration includes training jersey. If you already regsitered before and paid the $ 75.00 than you just need to make your weekly paymnet all pick the returning player optinon in order to pay. YOU CAN REGISTER FOR 2019 NOW! Watch highlights between SC Freiburg and Borussia Dortmund. Get ready for the next level! I would like to thank you for your trust and business. We want only one thing from our players, yes only one thing! we just want them to get better ! We have the experience and knowledge to support our players to be better in their current teams and get them ready to the next step which might be a professional level , a college team/scholarship and overall make them a better player .